There are people for whom “good enough” never is. These people often “can’t leave well enough alone.” They are constantly striving for more perfect perfection, to be better at everything they do, judging themselves against an invisible ideal that only they can see, and they tend to be controlling types who are their own worst critics. I am very much one of these people. On the positive side, we usually are inventors, entrepreneurs, and creative thinkers. On the negative side, we tend to screw ourselves over a lot with our ideals. Late last summer, after being fully well from Lyme (and gloriously skinny again) for about nine months, I found a naturopath who claimed she could get me off thyroid medication. Unable to be satisfied with just being thin and healthy again, I jumped at the opportunity to get off the only medication I’ve ever taken long-term. Lyme- which I cured completely holistically, no antibiotics- damaged a lot of my systems, such as digestive, nervous, and endocrine, and I was left with what was according to my LLMD lifelong hypothyroidism. The notion of taking medication for life was one I couldn’t bear, and I was on the lookout for anyone who thought thyroids could be rebuilt. I found a naturopath who dealt in plant stem cell extracts, and two dozen blood tests later, she gave me a litany of stem cell extracts to help me do everything from get off my thyroid med to balance my hormones to strengthen my poor battered liver. The experience was a disaster. I followed her protocol to the t, even though Ace warned me against the whole thing and specifically of interfering with my hormones, and went off my thyroid med as instructed a couple weeks into it all. Within a week of going off the medication, I gained eight pounds. The naturopath claimed it wasn’t going off my meds, but rather food allergies (which I’ve never had) causing the weight gain. She also claimed that my suddenly one-cup-size-bigger, painful breasts were not the result of her progesterone-enhancing chaste berry stem cell extract. Deciding she was a quack, I stopped the entire protocol and demanded a refund. After going back on my medication, I lost most of the weight in about a week. However, it soon returned right after we moved across the hall, but specifically in my breasts/hips/thighs. My arms, face, etc., stayed skinny, and for months now, those parts have continued to grow daily, leaving me constantly battling to get into pants that fit just a few days ago. My pants size is currently larger than even when I was sick with Lyme, yet I still have major collarbones popping out. This past weekend I decided to do a vegetable juice fast to help detox the hormones out of my liver. Savory: chard, purple kale, mustard greens, spinach, celery and/or cucumber, beet greens, bell pepper, parsley, lemon, lettuces, and garlic. I add Himalayan salt after. If tomatoes are in season, I add those- right now, they aren’t. Sweet: chard, beet stems, celery and/or cucumber, ginger, mint, and purple kale. I add stevia after. At least once during the fast, I take a one day break from those juices and do a liver flush that involves cranberry juice, lemon juice, and spices. You can read about that here: http://www.annlouise.com/15/diet-detox/52/ I do not cook the juice with the spices then strain it like they suggest, but instead add them in powdered form and drink them in the juice so I am getting as much of them as possible. When I did it the first time, I did indeed lose three pounds in one day as claimed. My intent this time is more just to push the stuck hormones out of my liver. I also have another pretty serious detoxifying practice that I’m not interested in discussing publicly, and this time my cleanse will not be 100% vegan as it has been in the past: to help my liver function, I am swallowing capsule-sized pieces of frozen, raw bison liver. After learning that the best thing I could do to bring up my liver function was to eat liver, and failing pretty miserably at that via the pate my kind mother made (I haven’t really eaten meat since childhood, and had never consumed liver before), I’ve decided to treat fresh liver as a supplement/vitamin instead. I purchased a very small slice at a local organic/pastured butcher shop, cut it into itsy-bitsy pieces, and froze them last night. So far I’ve had one capsule sized piece, and it went down all right. I’m also continuing all my normal supplements, the list of which would be another blog in itself, as well as consuming non-juice liquids like herbal teas, kombucha (GT Dave’s non-fruit flavors with four grams of sugar), and CocoCeps and Dandy Blend powders in water, sweetened with stevia. Now all I need to do is wait for that good ole oxygen high to kick in (which usually happens after about 3-4 days), and hope I don’t have to go to the grocery store anytime soon. I like to not decide beforehand how long I’ll fast for; it’s better for me to just do it until it stops feeling good, which is anywhere from 3-14 days. My goal this time is a minimum of seven days, and to stop feeling like my body is having a torrid affair with nonstop pms. It’s almost "black juice," more so than "green juice." I add as many purple ingredients as are available. Once upon a time about six months ago, a stray cat decided that my spouse’s work was her new home. She was scraggly and flea-bit, but also social and chatty. Ace, kitty-lover that she is (one of the many reasons we go well together), nursed and groomed her back to health. Soon Kitty was a regular fixture at the warehouse/showroom. She looked so young that no one guessed she could be of breeding age… until her belly started growing. It grew fast, and it grew BIG. Indeed, Kitty had taken up residence because she was preggers. A couple months later, Kitty popped out EIGHT kittens, and was subsequently referred to as Mama instead of Kitty. Mission: 50% successful. The two black cats were taken that week. Now it is a couple weeks later, and the two remaining kittens, who are steadfastly zooming through kittenhood, are still here. They are both boys, about 14 weeks old, and have lots of energy and affection to offer. As mentioned in the ad, they’ve been dewormed and tested negative for diseases. If you are in the Los Angeles area and know of someone trustworthy, responsible, wonderful, loving, and in need of a new pet, please contact me on twitter @rawknrollariane, or Ace at the above handle there. We call him Blondie. He loves laps, and is the mellower of the two. This is Red. He enjoys perching on shoulders, and has plenty of stamina for play. Everyone loves samples (or should, because they are free and fun), and when we visit my mom she always gives us a slew of them from a local store that includes a baggie-full with every special vitamin order. We came home this past trip with scads of samples, and as always I was excited to leaf through the little packets and discover new healthy goodness. When I came across a green powder, I was skeptical; green powders tend to taste like poop. But I am always looking for a good tasting one, so I inspected it more closely, and it was awash in no-no’s. 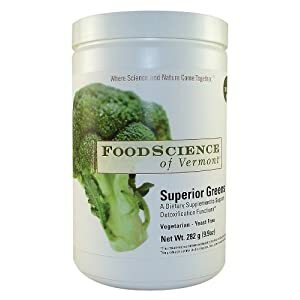 First, the brand name is “Food Science of Vermont.” “Science” is not generally something I want in my food, and using the state of Vermont to conjure images of nature does not do enough to negate the fact that you’ve put the word “science” in your brand of food. Next, I noticed that nowhere did it say the ingredients were organic, which is a definite must when dealing with concentrates. Who the hell wants to eat powdered pesticides? Apparently Food Scientists think you and I do, but on my end at least, they are wrong. Then, listed in the “other” ingredients was “natural apple flavor.” Natural flavors are not actually natural, since they are made in labs. Well, at least the “science” has come into play now. Lastly, and worst, the first damn ingredient of these “Superior Greens” is SOY LECITHIN. Not only does the lack of specification that it’s non-GMO mean that it is GMO, since most soy grown in America is, it’s not food, it’s not green, and it surely isn’t superior to much of anything. Soy lecithin is used commercially as an emulsifier, not a food/ingredient for nutritive value- yet here it is as the #1 component. That’s when I decided I would not be trying this product out after all, as besides my aversions to FrankenFood I am suffering from severe hormonal imbalance at the moment and the last thing I need is to throw a bunch of estrogen into the mix, which is one of soy’s many evils. I did go ahead and taste this supposedly-superior not-really-green greens by dipping my finger into the packet, and it tasted like what I imagine Apple Jacks are like. I think I ate Apple Jacks once, in 3rd grade, at my best friend Jami’s house (they were her favorite cereal), and I was so used to health-food cereals that I didn’t care much for them, even though she had done a lot of leading up to the situation with talk about how pink they turn your milk. So yes, to the average consumer these might taste ok, though certainly not “delicious” as the package claims, unless you have a propensity for fake apple flavor. Food Science of Vermont, I declare you guilty of putting out GMO crap under the guise of health food. I am reminded once again: if you want greens, you’re best served simply EATING them in fresh, natural form. This is the standard packaging for this offensive product. It is also available as a box of individual packets, one of which was the sample I received. Everyone has quirks, and some quirks are quirkier than other quirks. That said, I LOVE SPECIAL EAR. For those who are unfamiliar with this term, which yes I did make up, Special Ear is when an animal’s ear, or ears, are flipped inside out. I think it makes them look freaking adorable, in a, you know… special kind of way. Chessie being sleepy and happy to let me specialize her ears. Pies' ear specialized itself, and she left it. She is not the sort of girl to let you play with her ears. This could also fall into the "Chessie's Homies" category, as this couch is as much her friend as assorted chairs, etc. I enjoy flying about as much as I love roller coasters, sitting in the back seat of a car, laying too far back in a chair, or anything else that incites my hyper sensitive motion sickness. Dramamine helps, but the regular kind knocks me out for a day and the non-drowsy makes me feel like I’m on really cheap, bad drugs, so I only use it for long flights. My parents moved to Ashland, Oregon a couple years ago- against my wishes, pleas and warnings- so in order to visit them from L.A., my spouse and I are forced to fly. Ace is a total trooper (who also loves roller coasters and laying too far back in chairs), but I have a rough time. We take Allegiant, because it’s freaking cheap. Medford, Oregon is a terrible place to fly into, with an airport of only a couple gates, and all- meaning both- other airline choices are outrageous, generally have connecting flights, and only stop in Medford at hours like six a.m. or midnight. The problem with Allegiant is how crusty the planes are. I’m a self-confessed snooty girl who’s morally opposed to anything remotely yucky, so I am always grossed out by the planes, which are from the 1990s at the latest, threadbare, and seldom cleaned. Currently I’m fixated on the shiny, greasy remnants of lord-knows-what smeared across my tray table area, and the squished crunchy somethings all over the floor. No frills is one thing, but it’s like Allegiant is anti-frills. And while the flights are very cheap, one can’t help but be a little agitated by the fact that you either have to pay an extra $12 for an actual seat or wait till all the bougies who bought seats (of which I am one) have boarded before you can get on. If you take Allegiant- and I begrudgingly recommend you do, at least if you’re going to somewhere with very few flights choices- remember to stock up at home or at the airport on snacks and water, because these cheapskates don’t give you anything for free… drinks and snacks are all “for purchase only.” Although, we did just score a napkin out of a flight attendant, and for Allegiant, that’s pretty amazing. I tend to go through phases with breakfast, eating the same thing daily for a month or more before moving on. Generally I eat a raw breakfast, a raw lunch, raw snacks, and a cooked dinner, and try to include as much nutrition in breakfast as possible. My last phase before this one was over the summer, when I made an intensely superfood-filled smoothie that took up the whole VitaMix, then processed it through my ice cream maker to turn it into a delectable ice cream that made enough servings for a week or so. Ice cream for breakfast every morning is FUN, and makes me feel sort of conspiratorial and guilty-pleasure-ish too. The fact that my ice cream was full of things like kale and lucuma powder made it actually healthy to have such a thing for breakfast. The below crunchy, tasty, decadent cereal is made of the following, all of which are organic: sprouted/dried buckwheat (which I make myself, but you can buy if it’s too much of a pain), cacao nibs (they’re scrumptious, and give you a total boost of energy), hemp seeds (I omit these if using hemp milk), lots of cinnamon (buckwheat is technically a seed, but it’s a carby one so the cinnamon offsets blood sugar effects), himalayan salt, stevia powder, and a dash of protein powder (I’ll detail what I use for protein in a future post). Sometimes I add chia seeds, flax seeds, pumpkin seeds, sunflower seeds and/or sesame seeds too. I haven’t done that in this bowl because lately I have also been eating two homemade flax crackers alongside this cereal, to thoroughly cover my omega bases. You could also add dried fruit- I don’t because if I eat sugar in the morning, I crave it all day. There’s no real recipe, but be careful to not go too overboard with the seeds or it’ll be so filling, you won’t be able to finish a bowl of it. I recently got a private chef client hooked on it, and I imagine that if you try this, you’ll be in little kid cereal heaven too… only a much, much healthier and life-giving version of it! As anyone who knows me even vaguely is glaringly aware of, about a month ago I adopted a kitten. I named her Chessie, after she had a brief stint as WorryFace due to her high, slightly uneven eyebrow situation, and she is the closest thing I ever want to a baby. Why anyone would want a kid when they could have a good looking kitten is well beyond me. Chessie is a great model, and I’m looking forward to being the best Stage Mom I can be. She likes to put her paws on things like they are her friends, and so began the Chessie and Her Homies photo series. I hope you enjoy these Instagram pictures of the sweetest, cutest kitten around. And a new one, from today. For some reason no matter what I do it refuses to be the same size as the others, so I am leaving it extra large because it’s extra cute. Beverly Hills’ best kept secret is not that it houses the headquarters of FreezeTheFat.com (seriously, wtf IS that? ), or its real botulism-injected housewives. Rather, it is a shop called Dragon Herbs, with which I am currently head-over-herbal-heels in love. Situated on Robertson Blvd. between 3rd St. and Wilshire, this Chinese herb and tonic shop has incredible and high-quality products. The first product I got here was the above tea, and I felt like I was on some seriously lovely, yet mild, drugs all afternoon and evening. Sadly, it hasn’t made me feel that crazy high since, but it has completely changed my world for the better… and, better yet, it has allowed me to completely drop the caffeine addiction I recently picked up. I’d been having some major issues with low-energy, and was up to coffee twice a day, which I hated. As soon as I started drinking this tea, I stopped craving caffeine. It’s adaptogenic, which means it actually helps your body function systemically, it doesn’t just give it a temporary boost that will then leave you depleted later, a la caffeine. The first herbal pills I got from Dragon were a complex called Activated Minor Bupleurum, which cost about $20. I’d had a nasty cold for about four days which nothing was helping, with “nothing” being outrageous amounts of vitamins c and d, olive leaf extract, etc. Got this bottle in the early afternoon, felt pretty much fine by evening. The next day I hacked out all the phlegm that had been in my sinuses, and that was that. I was fine. I have never, ever recovered so quickly from an illness! I continued taking it for another day or two, then shelved it so it can hopefully ward off the next bug that tries to attack me. It really is Tao in a bottle, and it won't even set you back $30. Duuuuuuuuude. This complex is the most effective chill pill EVER. I have a tendency, especially since my hormones got all thrown off a few months ago, to be a touch of a stresscase. I’ve acquired a ridiculous habit of, all weekend long, pointing out the time to my spouse, as if we have somewhere to be even when we don’t. Marijuana helps, but I’m just not that into that anymore, so she has been stuck hearing all day long about what time it is and how much time has elapsed since last I told her what time it was, and how long it is until we have to be somewhere, if we even do. And if we don’t, I tell her how long it’ll be till somewhere we are vaguely considering going closes. Enter Tao in a Bottle, and exit my giving a hoot about wtf time it is. I am going to the shop today to buy a bottle of this for my parents, because guess where I got that stresscase trait from?! Thus, welcometomyblog. I didn’t really want to do this because I’m pretty much a lazybones, but I also didn’t feel right continuing to exert my time and copious efforts making money for a website that took pride in treating me like poop. I dedicate this first blog to my yelp profile, which is the product of several years of eating, wearing clothes, getting over a major disease, running a business, falling in love, and other living in the Los Angeles area. There are other lists, but those are my favorites. From this point on, I’ll be baring all the opinionated, no-holds-barred fruit right here. Why Blog When You Can Newsletter? What Have You Done For You Lately?